Films on Demand (FoD) is a wonderful databases of licensed educational films that can be streamed 24/7 to your classroom or to your students' devices. With FoD one can view an entire feature film, a series of linked films, or just segments of a film. Films on Demand is a streaming video subscription service purchased by the Cañada College Library. All Cañada students and faculty can access and view 45,000 full feature films or just shorter segments of these films. Films can be streamed 24/7 when on campus or when away from campus. As a student you can find and save your favorite videos in your own customized playlists. Faculty can create and save in your individual account numerous customized playlists for multiple courses or for the same course. Playlists can contain links to a full length feature documentary, a pre-defined segment of a longer films, or a customized film segment of your choice. Playlists can be distributed to your students through email, an electronic syllabus, a blog posting, or via a learning management system. Faculty now also have the opportunity to create and upload a 3 minute customized video of your own creation that can be used to introduce and provide context to the FoD films on your playlist. The New York Times online produces numerous videos to accompany its online edition. Search the New York Times website for its collection of news videos. Videos produced by the Associated Press are available free on Youtube on its own channel. CNN News Videos is offered by CNN News a respected professional journalism organization. CNN videos are available in English, Spanish (Español), and Arabic(فيديو). British Movietone offers a rich historical archive of newsreel footage which is available on Youtube on its own channel. Use this resource to view thousands of historical newsreels. "British Movietone is arguably the world's greatest newsreel archive, spanning the period 1895 to 1986. Discover British Movietone’s newsreel archive, which contains many of the world’s enduring images and is rich in coverage of news events, celebrities, sports, music, social history, science, lifestyle and quirky, via this channel." "In April 2009, the Library of Congress launched a pilot project on the online video portal YouTube to offer selected items from its collections of early motion pictures, along with recordings of Library-sponsored events, lectures and concerts. Through this pilot, the Library -- home to over 1.2 million film, television, and video items -- is sharing items from the Library’s collections with people who enjoy video but might not visit the Library’s own Web site"
The Library of Congress channel on Youtube offers 6 playlists “historic films from the American Memory collection, and a variety of Library Webcasts, including author presentations from 2008 National Book Festival and the Center for the Book Books and Beyond series, curator discussions from the Journeys and Crossings series and lectures by John W. Kluge Center scholars. Download and listen to hundreds of informative, and entertaining podcasts for NPR. Podcasts span a wide range of categories: Arts, Business, Comedy, Games & Hobbies, Music, News & Politics, Science & Media, Society & Culture, Sports & Recreation, Technology. Avid NPR listeners will recognize some of their favorite programs Alt.Latino, Car Talk, Fresh Air, Planet Money, Piano Jazz Shorts, Story Corps, and TED Radio Hour. NPR (National Public Radio) is an internationally acclaimed producer and distributor of noncommercial news, talk, and entertainment programming. A privately supported, not-for-profit membership organization, NPR serves a growing audience of more than 23 million Americans each week in partnership with more than 780 independently operated, noncommercial public radio stations. 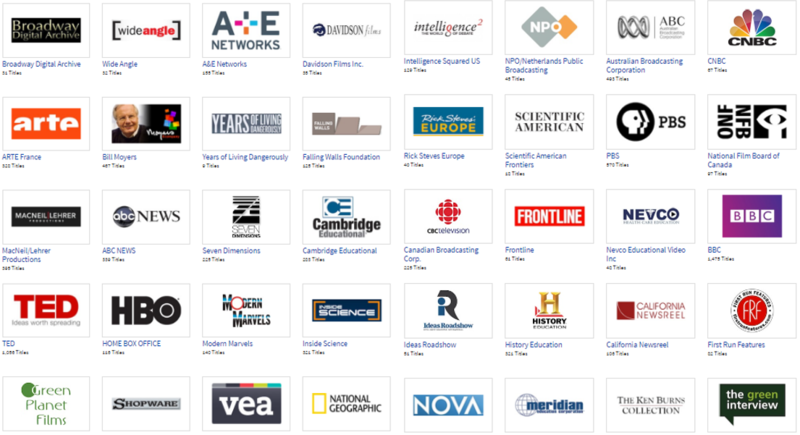 Each NPR Member Station serves local listeners with a distinctive combination of national and local programming." The Voice of America's regular broadcasts (VOA) are available by Internet. The news and information broadcast by is VOA available in 3 different graded levels. "Level One articles are for beginning English learners. Articles generally have one idea per sentence. Each article has 500 words or less." "Level Two articles are meant for intermediate learners of American English. Stories are often more than 500 words in length. Stories may include audio from newsmakers. Some may use more complex sentences or language." "Level Three articles are aimed at non-native English speakers who have studied American English and wish to improve their reading and listening skills. Articles are usually more than 500 words in length and may include audio from newsmakers. Some may use more complex sentences or language." Voice of America broadcasts a structured course for learning English called "Let's Learn English." "Certified American English teachers designed the course for beginners. The course continues for 52 weeks. Each week, there will be a new lesson with video showing the lives of young Americans. The lesson includes instruction in speaking, vocabulary and writing." There are 52 lessons that run for 52 weeks at the regular pace of one lesson per week. Integrating Media into the Classroom: Practice and Case Studies (30 minutes). Academic studies have found that the use videos in education increases learning (Greenberg, 2013). Video use in teaching brings about many other positive impacts such as better recall, increased student motivation to learn, and student satisfaction (Pekdag, 2010). In one study students felt that videos in the classroom provided "permanent ties with what is learned by associating them with daily life (Kosterelioglu, 2016). When videos are used there are positive impacts on students' interest and concentration (Berk, 2009), and students' feelings about learning (Hakkarainen, 2007). A recent white paper commission by Cisco can carried out by Greenberg and Zanetis summarizes the findings related to the positive impacts of the use of video in teaching. "The Impact of Broadcast and Streaming Video in Education: what the research says and how dducators and decision makers can begin to prepare for the future." "Recognizing Online Propaganda, Bias & Advertising" - 23 minutes. This short film can help your students sharpen their media literacy skills. "While their motives aren’t always evil, people who bend the truth don’t usually do so for the greater good, either. The online world is no exception—in fact, it’s a paradise for purveyors of hype, pseudo-journalism, and intellectual snake oil. This video explores ways to identify bias and propaganda on the Internet and sift through the various influences, such as political or corporate interests, that may be behind some Web content."